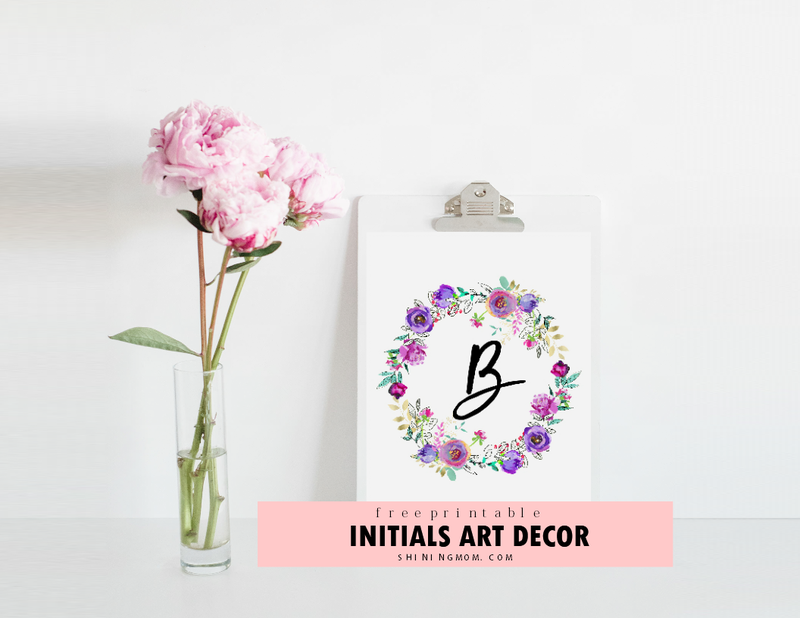 Yesterday, while I was enjoying my time at my favorite nook for ideas and inspirations (where else but Pinterest), I stumbled upon some beautiful free initial wall art printables. They’re just so charming, they inspired me to create my own! So early this morning, I thought I’d like to try my hands in creating initials art prints. I was able to finish them just now, still on time for the Shining Wednesdays segment today. Here, delight yourself with these beauties! They are SO beautiful, isn’t it? Swoon, ladies, swoon! I just love the purple, mint and gold colors of the floral wreath created by my ever favorite White Heart Designs. They make beautiful art works, really. Creating beautiful art pieces can be easy with their ready-made tools. For your future projects, you can definitely try their design elements, too. Print these letter art prints in high-resolution so you’ll see the gorgeous details! And for the font, it’s Tropical Nights from Creative Market. And oh, if you’re looking for more printable art prints to prettify your home, I do release beautiful designs on a bi-weekly basis on my Shining Wednesdays segment. You may go see my previous releases HERE! Hope you like these freebies! Enjoy the rest of the week! « FREE Daily Planner Printable: 7 Pretty and Basic Planning Sheets!